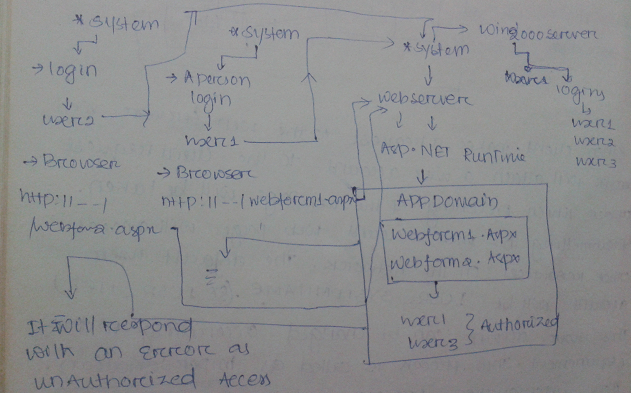 When the authentication is implemented based on network level login then it is called as Windows based authentication. Windows based authentication is applicable at the intranet based implementation that is private website of the organization. Here apart from user1, user2 and user3 everyone else will get error.